Bonnie McKee’s ascension into the leagues of pop superstardom has been a bumpy one thus far; her 2013 single ‘American Girl’ the only one to fire at this stage. Not that she needs to be famous really, given she’s been busily writing smash songs for the likes of Katy Perry, Britney Spears, Rita Ora and Adam Lambert (among others). 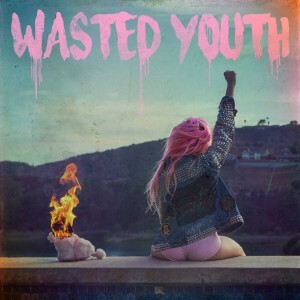 But she’s giving it another crack in 2016, revealing the video for her latest attempt to smash global charts; ‘Wasted Youth’. Taking inspiration from the quote “youth is wasted on the young” (a lyric which opens the song), it’s a song about embracing the now, appreciating the fun to be had in your younger years. Whether that be bathing in a tub of breakfast cereal, bouncing on a bed of marshmallows, wrestling while clad in bubble wrap, climbing half naked up a tree, covering toy dinosaurs with whipped cream… whatever takes your fancy, really. Catchy song, strong vocals, great vibe and message. Could ‘Wasted Youth’ be the track to break Ms Bonnie?